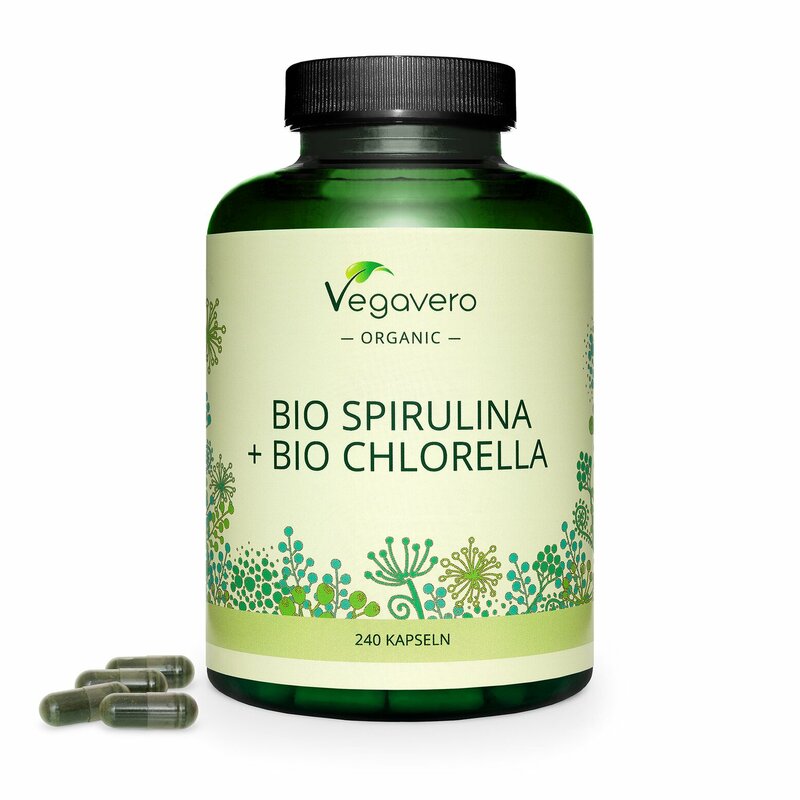 Chlorella and Spirulina are microalgae characterized by a high nutrient density. The indigenous peoples of South America and Asia have appreciated these microorganisms for centuries as a valuable dietary supplement. Both algae species show off with a protein content of almost 60% and thus a considerable amount of amino acids. Also minerals such as magnesium, phosphorus and potassium, as well as various vitamins are contained in large quantities in Spirulina and Chlorella. For our product we use high-quality raw materials from controlled organic cultivation. Chlorella algae are cultivated in open waters in the South China South Sea. Spirulina algae do not originate from a tubular system, but are cultivated in extensive cultivation basins. Both algae are gently dried using a spray drying process in order to preserve the nutritious ingredients and make them available. The recommended dose should not be exceeded. Food supplements are not a substitute for a balanced and varied diet and a healthy lifestyle. Contains sulphites. Do not use during pregnancy or breastfeeding. Keep away from children. Store in a cool and dry place. Take 3 capsules daily with sufficient liquid and food.